Steven R. Pribyl has been with Langer & Langer since 2001, and as an attorney since 2004. His main focus is on the firm’s family law and criminal law practices. 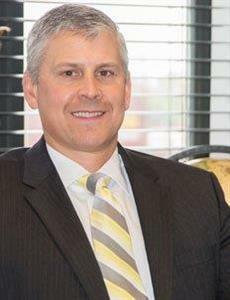 Steve was named in Rising Stars℠ by the Indiana Super Lawyers® in February 2014. Steve has strong community ties and has been a Board member for DeMotte Christian School located in DeMotte, Indiana for 4 years where he served as Treasurer and Vice President. Steve also volunteers as a coach for the KV 3-on-3 league, Upwards Youth Basketball League, DeMotte Little League, Lowell Little League, and Youth Travel Baseball. Steve has been married to his lovely wife for 15 years, and they enjoy time together raising their two children.